Winchester offers many great summer activities. Enjoy! The Winchester Farmer's Market is an enjoyable community activity that takes place every Saturday from 9:30 AM - 12:30 PM, May thru October, on the Town Common. The Farmer's Market provides Winchester residents and neighboring communities an opportunity to buy locally grown food from farmers, handmade food providers, artisans, local businesses and non-profits. The market also aims to educate the community about the nutritional and environmental implications of the food we eat. This topic is near and dear to my heart since I am constantly trying to provide my four children with healthy food options. It's not an easy task since TV commercials and colorful labels on cereals and other unhealthy food products constantly attract their attention. The Farmer's Market is a small step my family can take into buying and learning the benefits of nutritious, locally grown food. There is also entertainment so be sure to bring a blanket to relax and enjoy. For more information on the Winchester Farmer's Market visit www.winchesterfarmersmarket.org. Concerts on the Common in Winchester is a free activity offered throughout the summer and are held on Wednesday nights from 7:00 - 9:00 PM on the Town Common. There is a schedule posted on Winchester Patch. I recommend you print this and hang it on your fridge; your kids will remind you when its Wednesday because they will not want to miss out! The concerts are a chance for families to picnic on the green grass and enjoy a variety of musical acts. There is usually lots of dancing for the young ones that the musicians encourage. My family has thoroughly enjoyed the concerts over the years. 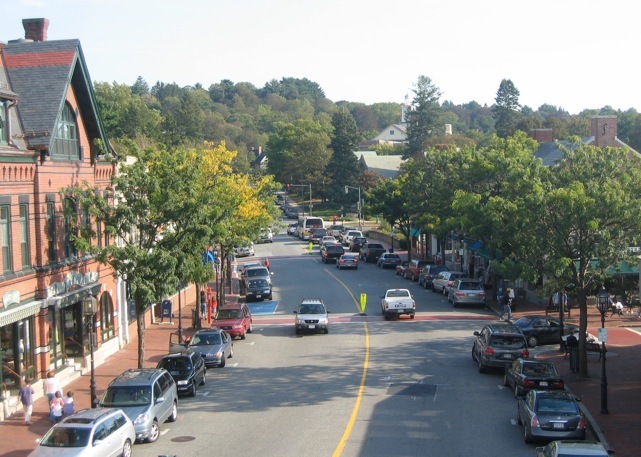 These are just a couple of the many community activities that Winchester, Massachusetts has to offer. You will get more enjoyment from the town if you immerse yourself into the community events. You will learn more about this historic town, strengthen relationships with friends and lay the groundwork for your children to feel connected to the town that will play a large part in their early years. My husband and I feel so blessed to have grown up in Winchester and can only hope that our children will share some of the same great memories we experienced as kids. To learn more about Paula or to contact her, please visit her bio page. Thanks, Paula! Serving our community- and having fun doing it! While we are busy with a hectic spring market, the agents at Shanahan Real Estate Group are also attending some great Winchester events organized by groups that make up the fabric of our town. This was a busy week in town with several fun and important events taking place. Last Wednesday evening, several of us attended the Chamber of Commerce Citizen of the Year Dinner where over three hundred people came out to honor Charlie Price and Carl Boerner. Over the years, these men have dedicated coutless hours to extensive volunteer work, across several town organizations. It was a great opportunity to see the many people of this town who do so many good things that make Winchester such a special place to live. The next day was the combined lunch of members of the Chamber of Commerce and Rotary Club. This well attended event was a great opportunity for the business people of Winchester to get together and listen to Mark Ockerbloom from Channel 25/FOX News.Mark is a native Winchesterite and he talked about how he got into the broadcasting business and has moved around but Winchester will always be home. AtShanahan Real Estate Group, it's important to be involved and support these worthwhile events. Most recently,Shanahan Real Estate Group co-sponsored the trolley for theWinchester Community Music School's Music MAYnia. All of our agents have commitments outside of work with groups that support various causes in Winchester and our neighboring communities. We believe in our community and contribute our time and skills to the groups that we hold close to our hearts, from environmental groups to civic organizations.Below are some of our agents' thoughts on the organizations that they individually support: From Mary Price, Winton Club As a member of Winton Club, I recently setup another "lobby sale" at Winchester Hospital for the week before Father's Day. Vendors bring in their wares and the Winton Shop receives a percentage of monies from their sales of that day. All proceeds from our lobby sales are included in the Winton Shop sizable donation made to the hospital each year. This coming year, I transition from lobby sale chairperson to gift buyer for the Winton Shop. Luckily, I have two other wonderful members working on gift buying with me, Carolyn Doyle, and Cheryl Laurintano. Again, all profits benefit the Winchester Hospital. From Karen Garrett, Family Action Network of Winchester I have been involved in this group since moving back to Winchester two years ago and just completed my first year on the board. I serve as a co-chair of the Membership Committee, with my very good friend (also a Winchester native). It is a great way to stay connected with other busy parents and to discuss issues that are important to all of us with young families. Many of my closest friends are also part of this organization and in my role, I get to meet many new Winchester families. It has been a satisfying and fun way to contribute to our community and spend some time with my family. From Felicity Tuttle, Winchester Multicultural Network and other groups I have loved being able to participate on the Board of the Winchester Multicultural Network which is so focused on culture, diversity, fairness, and advocating for people who come to us seeking assistance. This has been an important connection between my interest in bringing to Winchester people from many cultures who further enrich the breadth of our community. Similarly, volunteering on the Winchester Housing Partnership Board helps fulfill my interest and hope that by creating more affordable housing we can enable more families with limited resources to become renting and home-owning town residents. Leading Winchester Trails walks to expand the nature education of our 4th and 5th graders in town enables me to stay in touch with a number of those eager young faces I miss as my children are now adults. Volunteering in each of these areas is truly as much of a gift to myself as a possible benefit to others! May and June are always busy months for town events, with many favorites happening in the coming weeks. Next weekend is the EnKa Fair, followed by Town Day on the 4th of June. These are such great, long running town events with many activities for kids and adults. Check out ourtown calendar page for a list of events that we enjoy.